When you or a loved one has suffered from the acts of another, choosing a lawyer to protect your rights will be the most important decision you make. 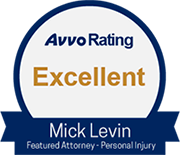 Choose Mick Levin, PLC an Arizona law firm that is committed to helping people and winning in the courtroom. Mick Levin has built a reputation in Arizona as an advocate for victims who is willing to take a case all the way to trial. Placing a high value on hard work, honesty, and personal integrity, Mick is committed to preserving the rights of injured and disadvantaged citizens of our state. His practice consists of cases which involve people who have been injured due to the negligence of another person, corporation or governmental body. Lawyers who know what they're doing. We have decades of experience with cases like yours. Our legal team has the experience you need to help with your legal issues. We attend conferences and seminars year round just to make sure we are on top of all the new laws that may affect your case. Lawyers who have a proven track record of success. We have a 99.3% success rate for our clients. We have settled a number of cases for a million dollars or more. Our lawyers have successfully argued and won cases in the Arizona Court of Appeals, the Arizona Supreme Court, and the Federal Courts. Many lawyers won't take a case to trial – we will. We try a number of cases every year. Our legal team has obtained seven figure verdicts for our clients. Lawyers who aren't afraid to take on heavy-weight opponents. We have had successful cases against the State of Arizona, the Federal government, multi-billion-dollar drug companies, multi-billion-dollar manufacturers, and most multi-billion-dollar insurance companies. We aren't afraid of big cases, big companies, or big law firms. Lawyers who care about you and your case. Our legal team treats you like an individual, not just another case number. We pride ourselves on staying in contact with our clients, keeping them informed of the status of their cases, and being easily accessible whenever our clients need us. 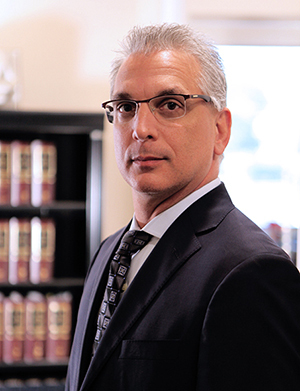 The goal of Mick Levin, PLC is to provide you with superior results-oriented legal representation in handling your complex civil litigation needs. We are committed to providing a strong and ethical representation of our clients, as well as the obligation to hold your trust and confidences above all else.